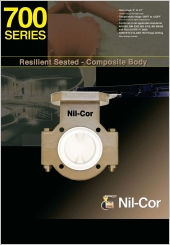 Nil-Cor® is the pioneer and world leader in the design, production and application of industrial valves made from Fiberglass and Graphite reinforced resins. 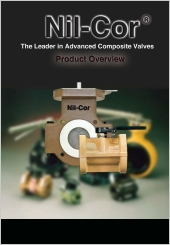 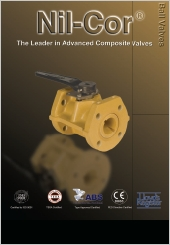 First introduced in 1977, Nil-Cor® Valves have steadily proven their worth in tough industrial applications once thought to be solely the province of steel or alloy valves. 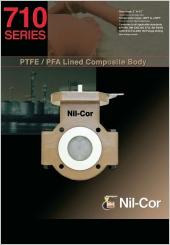 Today, as FRP piping systems and tanks challenge traditional thinking in corrosive fluid applications, Nil-Cor offers a full range of ball, butterfly and check valves to make an all-FRP system a reality. 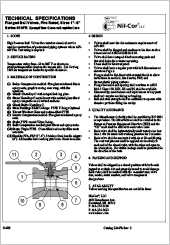 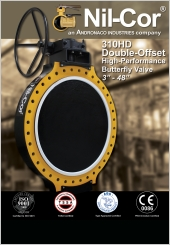 310HD Double-Offset High-Performance Butterfly Valve 3"-48"